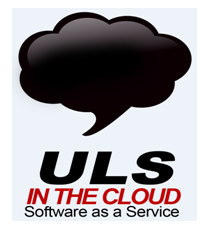 No Software to install -- ULS will send you a link to install on your desktop and you connect directly to our servers. No Server Requirements -- ULS will host the application for you. No Workstation Requirements -- You will not need to go purchase new workstations to run the application. No Back Up Solution Necessary -- ULS will back up your data every fifteen minutes. All you need is Internet access -- It will work as long as you have access to the Internet.